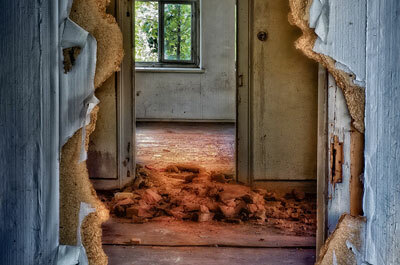 JRP Services provides demolition services, including interior demolitions, for folks throughout Houston. If you have a building or home that could use a renovation, we’re the crew to get you started. We’ll shell out any building that you throw at us, leaving you with the blank slate you need to rebuild from scratch. Interior demolition requires care. When we strip down a room, we use the right tools for the job, to ensure that there’s no damage caused to the structure and infrastructure that must remain. Plus, when the demolition is complete, we’ll clear the space of all debris, and remove it from the site. We’re efficient, effective, and we offer competitive rates for our interior demolitions. If you’re curious about the cost of your project, you can get started with a free quote for your demo. The JRP name team is synonymous with excellence. We’re demolition experts, and we’ll do our utmost to prove that to you. As your Houston-based, family owned and operated demolition contractor company, we bring over 30 years of experience to the table. That means that you can rest assured that your job will be completed on schedule, completed the right way, and completed with care and safety. Plus, you can also rest easy knowing that bonded and insured, in the case where there’s an accident. From crowbars and sledgehammers to helmets and gloves, we have the tools necessary to perform interior demolitions quickly. We have all the right tools to get the job done right, and the skill to handle those tools properly. Our demolition services don’t stop there. We also provide full building demolitions, selective demos, excavation services, lot clearing, concrete removal, and more. See our full list of demolition services. With JRP Services, one call does it all! Ready to get your project off the ground? Well, the folks here at JRP Services are waiting for your call. Get a free quote from us today, or call us if you have any questions about our demolition services. Once again, we provide demolition services for people throughout Houston.